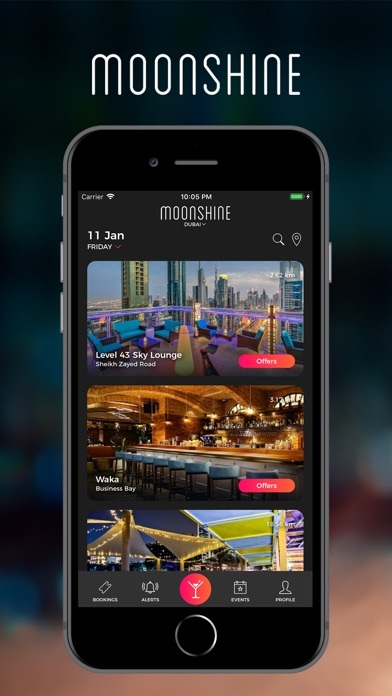 Moonshine is the best nightlife app which is your personal guide to finding the finest bars, nightclubs, lounges, restaurants around town. We have partnered up with venues to offer you a complimentary drink every day. Additionally, we offer users complete access to all events, offers, bookings and deals in all of our partnered venues around town. There are over 1000 events, offers, and deals on our listings section which include: - Ladies & Men’s Nights - Themed Nights - Brunches - Evening Brunches - Pool & Beach Parties - Happy Hours - Drink Deals - Bookings Saving money has never been easier. Going out can be very expensive. Fortunately, bars and clubs are always looking for more footfall. 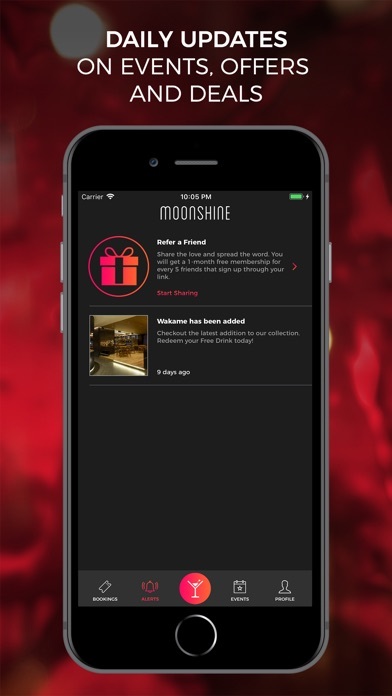 So, make sure you download Moonshine App today and save by redeeming at the most exclusive venues in town! 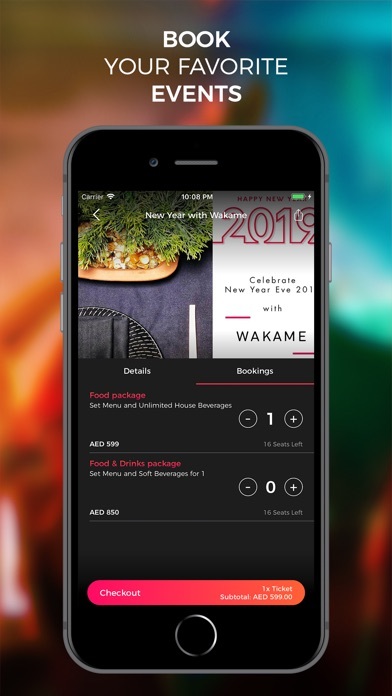 Experiencing what the city has to offer has never been simpler, search for venues around your area, visit a participating venue and redeem your complimentary drink. Download now and start redeeming. 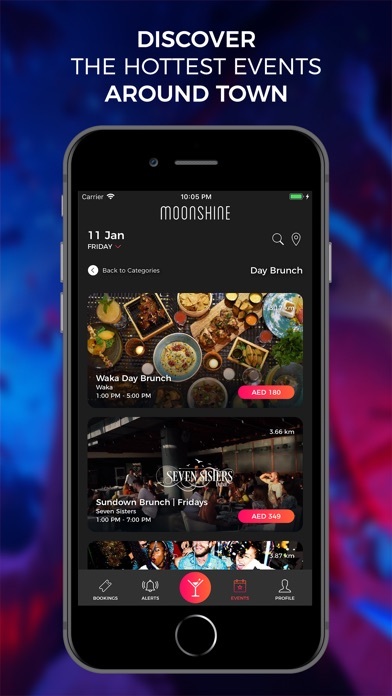 LET MOONSHINE BE YOUR GUIDE * Search and Explore easily for bars, nightclubs, lounges and restaurants including the ones near your current location and use search filters to find the one that suits you best. * View and book the most exclusive events, offers and deals on our separate listings section. 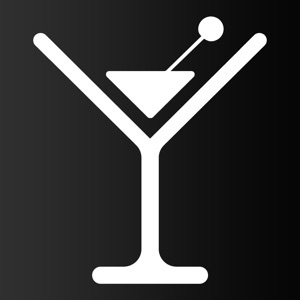 *Manage bookings through our interactive reservation portal * Taste the best assortment of drinks and cocktails * Rate and review venue experience to constantly provide insights to venues to enhance their experience. * Maintain an easy reference list of your favorites or places you want to visit again. * Use the map view to explore venues around you, or search in a specific area. 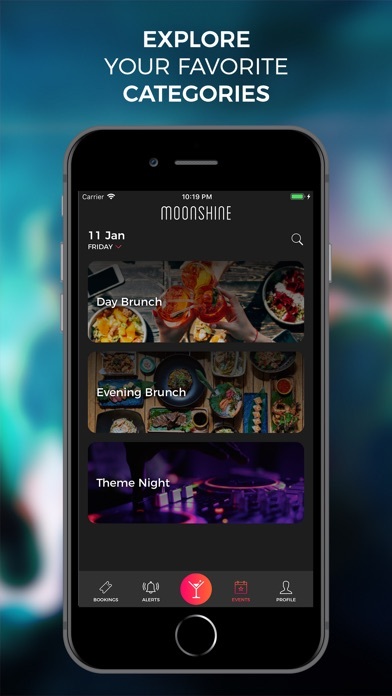 Save money, save time & explore your town by downloading Moonshine app today! We are currently available in Dubai & Australia.